Who doesn’t like caramel apples? So I still had apples hanging around the house, but there was no way I was going to just eat an apple. Seriously, I’ve been in a slump of not making anything too exciting, so I took an evening of being lazy around the house and decided to do something about my sweet tooth. So what did I come up with? A craving for Rice Krispy Treats that lead to a great dessert. 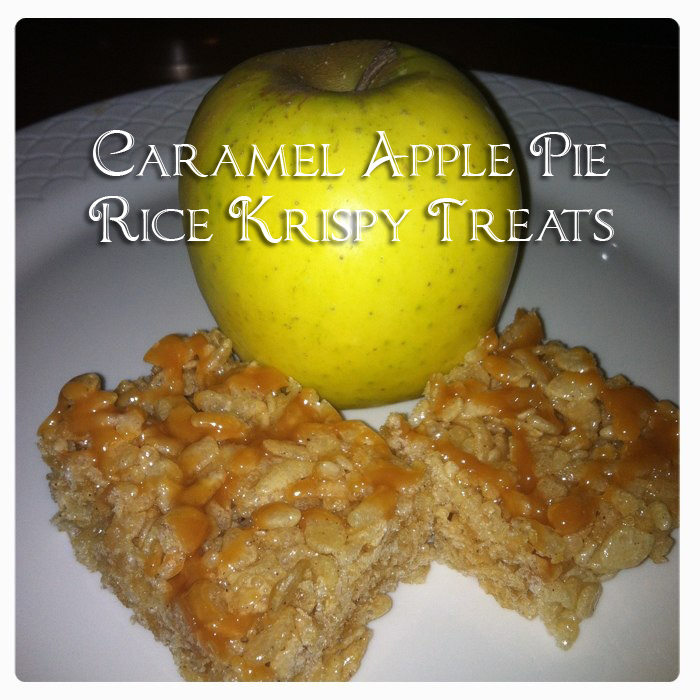 If you like caramel apples, you’ll like this. Basically, it’s the same as a Rice Krispy Treat, but you’ll have to also buy some additional ingredients. Peel and dice up the apple. 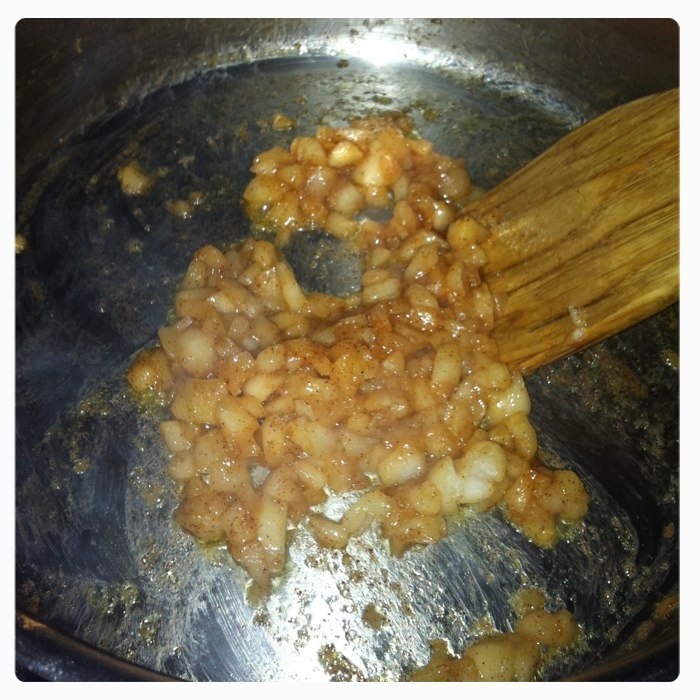 Saute in a pan with 1 of the tablespoons of margarine and the cinnamon. Cook down until the apple is softened. The house started smelling like apple pie at this point. Add in the bag of marshmallows and the rest of the margarine. Cook down until all the marshmallows are melted. Start folding in the Rice Krispies, one cup at a time until everything is in. Put into a brownie pan and let it cool. 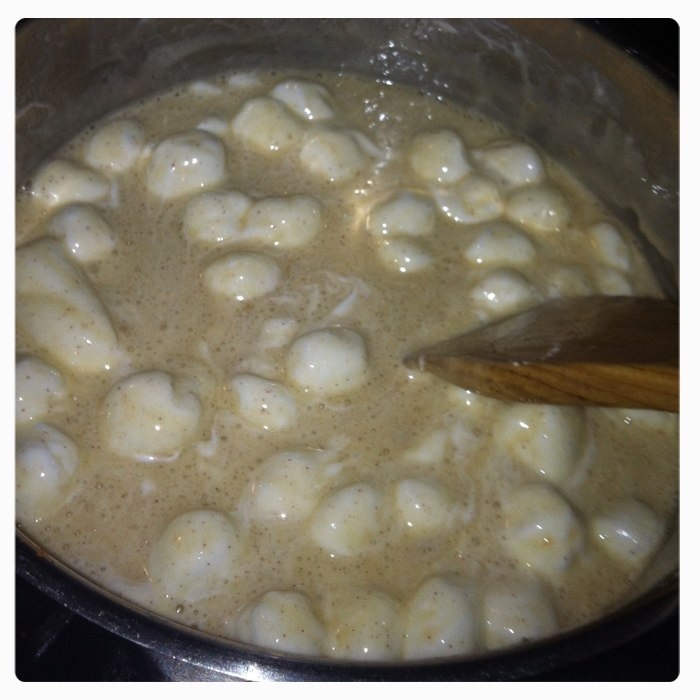 While that is resting, in a clean pan, add the caramels and cook on low with the water until it melts and is smooth. Then drizzle over the treats, let rest, cut up, and enjoy!